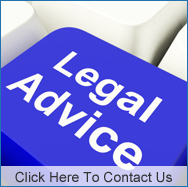 Divorce mediation has become a more popular option for settling all aspects of a divorce over the last 10-15 years. It is less expensive than a court battle and takes significantly less time and is less stressful. And, the State of Minnesota requires divorcing couples, who do not have a history of domestic violence to participate in an Alternative Dispute Resolution Process (ADR), such as mediation, prior to appearing in court. Kallemeyn & Kallemeyn offers divorce mediation services to clients in the Minnesota area who are in the midst of a divorce. Lisa Kallemeyn is a Qualified Neutral under Rule 114 of the MN Rules of Practice and has more than 20 years of mediation experience and she can help you and your divorcing partner navigate the difficult process of divorce with a focus on your future and what is best for your family. Costs less: Divorce mediation is typically 40-60% less expensive than a court battle. Takes less time: To settle a divorce, you should be prepared to participate in several two hour mediation sessions over the course of several months. A court battle can take months or even longer. In this time, you can settle all aspects of a divorce, including division of property, child/spousal support and creating a child custody agreement. Encourages creative solutions: You and your divorcing spouse are empowered toward solutions that work for your unique needs, rather than relying on the court to determine the settlement. These solutions can be outside of the box. Decreases conflict: Mediation emphasizes cooperative discussion, rather than further exacerbating an already contentious situation. 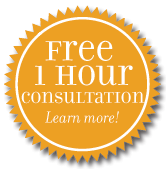 Confidential: Mediation allows you to solve your issues in an entirely private way, without having to publicize your private battle in front of a judge and the staff in a courtroom. As a leading divorce mediation firm, you can trust Kallemeyn & Kallemeyn to help you navigate the divorce process in a fair and efficient way. Our team understands that this is a difficult time in your life and if you are lucky, you only have to go through one divorce. We have worked with many couples during this process and can use this experience to help you. For more information, call our team today at (763) 427-5131.